Today Knowfox got an important update: To do items. When saving a concept, bullet items with a leading [ ] or [x] are extracted and placed in separate lists as todo items. There are two new toplevel menu items, one for open tasks, one for closed ones. 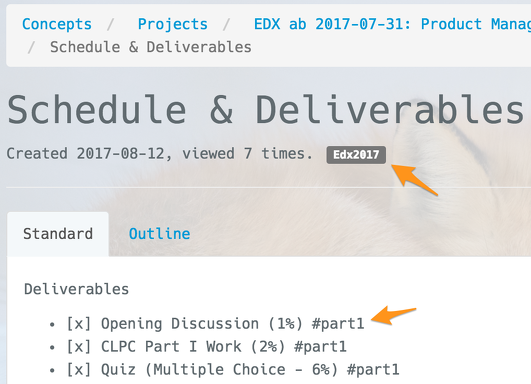 In the lists, the tags become clickable links and help to organize my tasks. With this new feature, I plan to become super organized. The feature was inspired by the on-paper method BulletJournal, a well as by the two tools TaskPaper and NotePlan. Let's compare the new notation with BulletJournal. 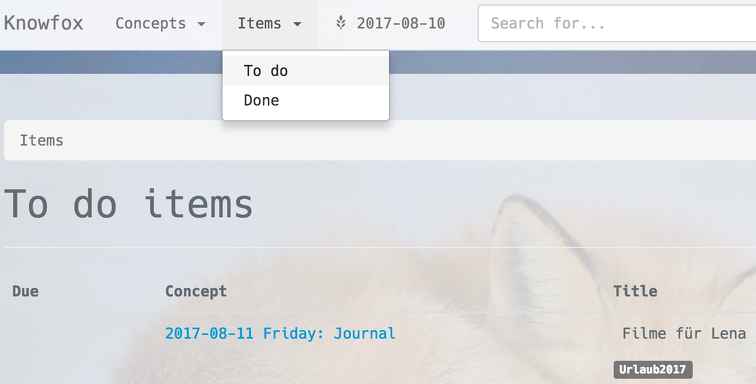 In BulletJournal, you write open tasks as a simple bullet item with an *. Completed items are marked with a X instead. There is also notation for migrated tasks > and schedules ones <. Migration is not necessary in a digital system. The tasks stay on the To do list until you tick them off. Of course, I can still have bullet lists without checkboxes. I use these to sketch out ideas or log events. They won't appear on any of my item lists.